The Nissan South of Union City finance department offers our Georgia customers access to credit assistance and available bankruptcy approval programs that were designed to help even the most credit challenged individuals obtain a new or quality used vehicle. We understand that not everyone has perfect credit, but we don’t believe that should disqualify you from obtaining the vehicle you’re looking to purchase. Regardless of your current credit score or your previous credit history, Nissan South of Union City wants to help! The experienced personnel that make up our finance department work hard to provide our customers in Union City and all of the surrounding areas with the opportunity to purchase a quality vehicle, while at the same time helping them improve their credit score through an auto loan they can afford. At the Nissan South of Union City Credit Center we take the steps necessary to make it easy for our Georgia customers to get financed. Visit 4080 Jonesboro Road in Union City to speak with one of our automotive finance specialists in person, or you can call (678) 545-3887 to speak with an experienced financing representative by telephone. We also offer a convenient online financing application that can be completed to see if you can possibly receive instant credit approval! 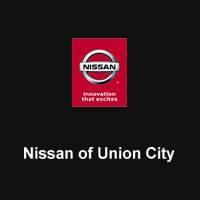 If you live in Union City or any or the surrounding Georgia communities, stop in today and let the Nissan South of Union City credit assistance team tailor a car loan designed specifically for you. As with any auto loan from an automotive loan provider, the applicant will be required to provide records, for example, proof of auto insurance and a current, valid driver’s license. If applying a subprime car loan, the applicant will have to bring a few additional records. The reason for extra documents is a moneylender is incurring a high risk when financing a subprime car loan. By requiring additional documents, the financer is taking additional steps to ensure that the loan will be likely to benefit both the applicant and the lending institutions. A valid driver’s license – Verify your license is not expired, revoked, or suspended. Also ensure the address listed on your driver’s license is current and matches your state of residence. Proof of insurance – Take care to include the name of your agent and a reliable contact number. Preemptively adding a new car to your policy will not be necessary until approval. Proof of residency – A recent bill for utilities, such as water or electric, is sufficient proof so long as your name is listed and matches the address given. Proof of employment – For approval, a recent (within 30 days) pay stub stating your year-to-date earnings is sufficient. Self-employed individuals must provide two years of professionally prepared tax returns. A list of personal references – Most finance professionals expect six references. A reference means any individual that knows you personally — be it a family member, friend, or work colleague. Your list should include full names, addresses, and phone numbers. Keep in mind your references cannot reside at the same address. As a courtesy, get permission from your references before listing them as a lender may contact them. Phone number verification – Any phone number provided must be in service and under the applicant’s name. Prepaid cell phone numbers will not be accepted.